Can a diabetic be pulled over for a DUI when he hasn’t touched a drop? 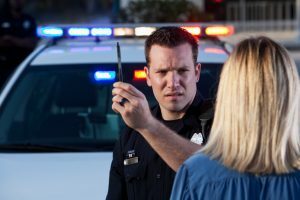 “DWI or “Driving While Intoxicated” is defined in Springfield Missouri as operating any motor vehicle on a public way with a blood alcohol concentration of 0.08% or higher. This is decreased to 0.04% for commercial drivers. Additional provisions have also been made to account for drivers who are impaired by other drugs, including illegal narcotics, prescription and over the counter medications. Â§ 577.010.2, RSMo 2015. Conviction for driving while intoxicated results in one having eight points put on their license, as well as punishments ranging from a 90-day license suspension to a two-year prison sentence, depending on whether or not the defendant has previous DWI convictions. § 302.302.1, RSMo 2015, § 577.012.1, RSMo 2015. This means that a diabetic suffering from hypoglycemia may both appear to be intoxicated and may, in simple field tests, test positive for alcohol. Fortunately, hypoglycemia is a well-known medical phenomenon and can be quickly confirmed by any hospital. Unfortunately, the necessary testing equipment is all but unheard of in most police stations. This unfortunately means that many persons suffering from hypoglycemia are arrested for a DWI they did not commit. However, the law in Springfield Missouri acknowledges this problem and does not permit convictions if the defendant can prove they were not intoxicated, but instead suffering from hypoglycemia. Any diabetic arrested for driving while intoxicated but suffering from hypoglycemia should immediately contact their legal counsel, since blood tests can quickly confirm that a person is simply suffering from unusually low blood sugar levels. It is important to get these tests quickly, since one’s blood sugar level will change over time, thus making it difficult to prove that one was not intoxicated.